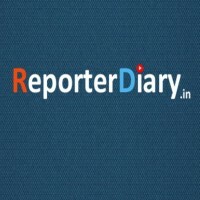 Reporter Diary the news aggregation platform is created to cater towards regional news in India. Giving due weightage to English, This platform provides the latest news in Hindi, Tamil, Malayalam, Kannada, Telugu, Marathi, Bangla, Gujarati, Odia, Asamiya, Punjabi, Urdu, Bhojpuri and Nepali from leading news papers of these languages. In first phase 15 languages are included in this site. 'Reporter diary' prioritizes live news updates, trending news articles and videos across the globe. We also focus the update news of India, World, business, sports, Education, top news, entertainment, lifestyle, health, technology, Automobiles, cities, Art culture, Travel, Books, Politics, Astrology, Food, science, religion, bollywood, LIVE cricket score etc for above Indian language users.